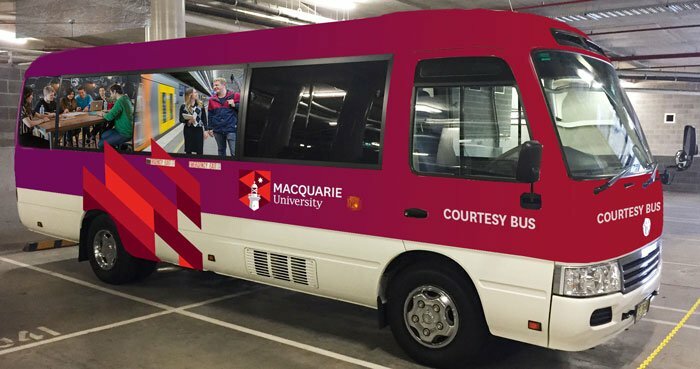 Macquarie University underwent a major rebrand in 2015. As part of the implementation across the campus Wide Open were briefed to apply the new branding to campus transport. This included the fleet of property vehicles, security vehicles and campus bus. A bold new presentation for Macquarie included a new logo and colour device that needed to be interpreted across a wide range of products and applications. The campus bus is targeted at the undergraduate students, needs to be easily visible in daylight and after hours, as it is secure transport around the large campus. 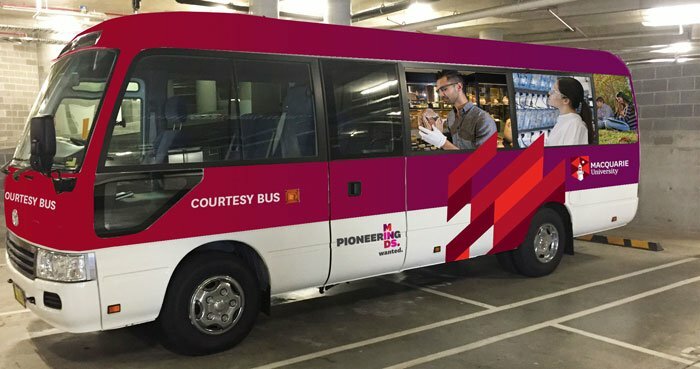 The bus also links to the current Macquarie “Pioneering Minds” campaign that runs in cinemas. Wide Open have worked with Macquarie University on a number of projects over the last 3 years. 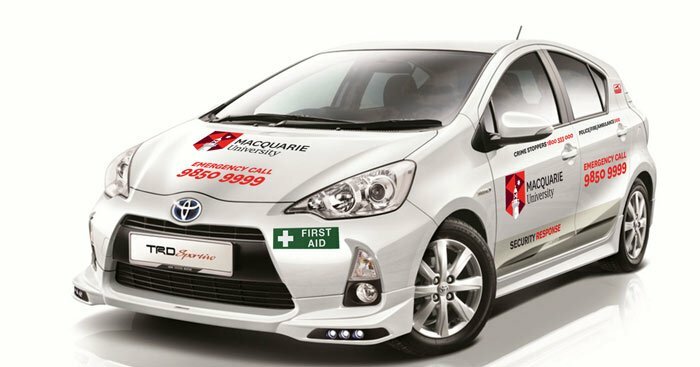 We have developed “manga” style cartoons to help spread security messages throughout the campus, branded vehicles, designed uniforms and developed interactive parking maps. We have also been involved in the design of new car parking signage as part of campus wayfinding updates. 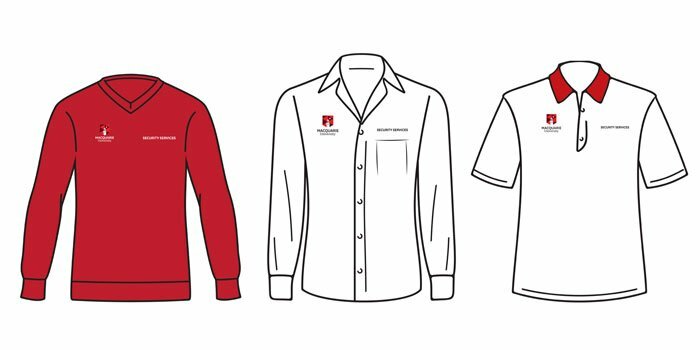 As part of the brand application Wide Open sourced clothing options to replace the outgoing styles. We also arranged embroidery samples and different fabric options for the various departments. 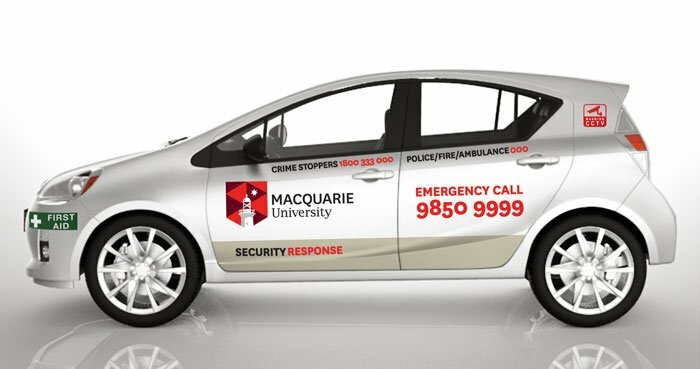 Macquarie University Security were the first to apply the new brand. Wide Open coordinated the design and application to the security fleet of hybrid vehicles. Wide Open was commissioned to develop an interactive site map of all existing campus carparks. 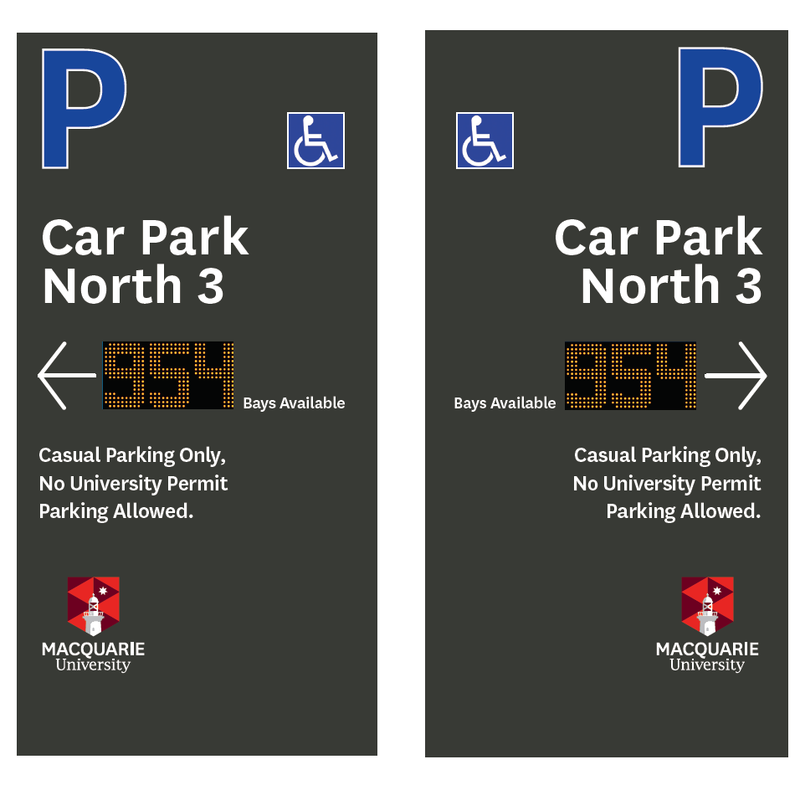 We also developed designs for backlit signage with available space indicators as part of campus-wide wayfinding updates. 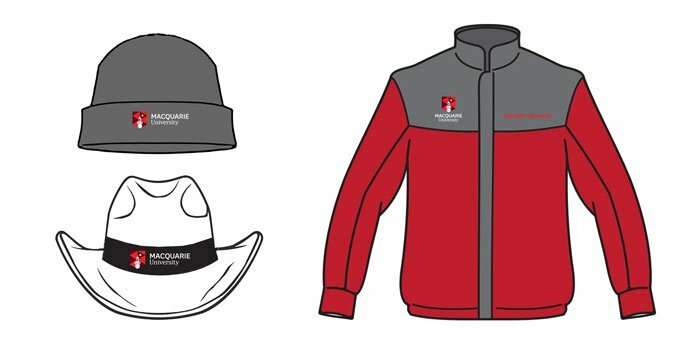 MacWarrior is the mascot for Macquarie University. Wide Open were commissioned to develop and produce a student security awareness campaign. 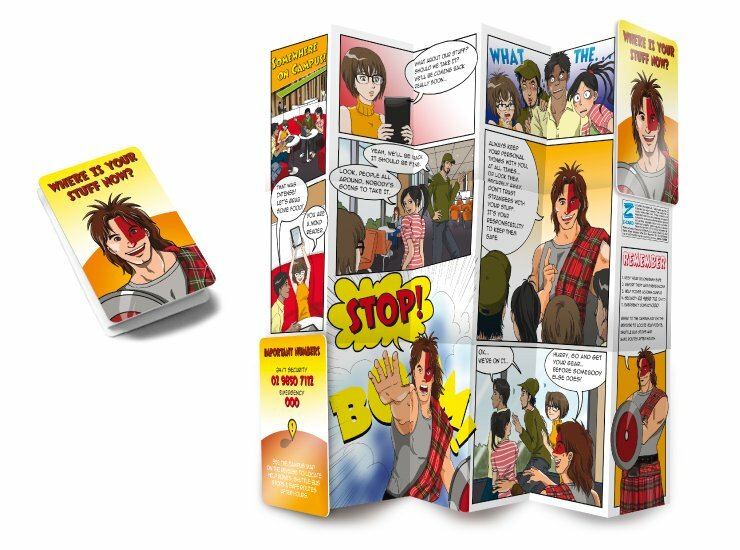 We proposed the use of a Manga style cartoon that would be read easily on a portable device and would engage a young international student audience. 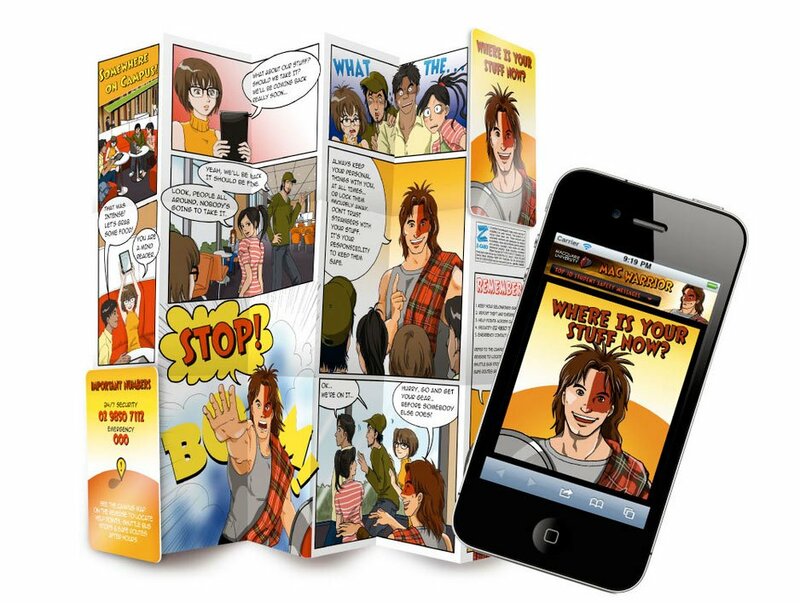 It was also produced as a Z-Card (poster that folds to a wallet size card) for use at orientation events. The cartoon sits under the security menu on the University website.